On February 3, I was flying to San Diego with my sister. We were going out to see our father, who, after long hard years of illness, was now close to dying. My sister and I talked for a long time and then we both went back to our books. I was reading Updike’s Rabbit at Rest, and as the wheels touched down I read the last sentence in which Rabbit dies. Considering the title, I don’t think that qualifies as a spoiler. I looked at my sister in wonder. “I can’t believe I finished,” I said. The book was over 500 dense pages long and had been preceded by three other Rabbit novels. (If you’ve been reading my notes here, you’ve followed my progress.) It was a literary haul. The flight attendant came over the P.A. system to tell us it was now safe to use our cell phones, so I turned mine on. There was one message from my husband, telling me and my sister that our father was dead. Why had I felt so compelled to reread those Rabbit novels at this point in my life? Because I knew exactly where they ended up? I can’t explain it but the parallel was comforting to me: Dad and Rabbit. I stayed out in California for a week with my stepmother. 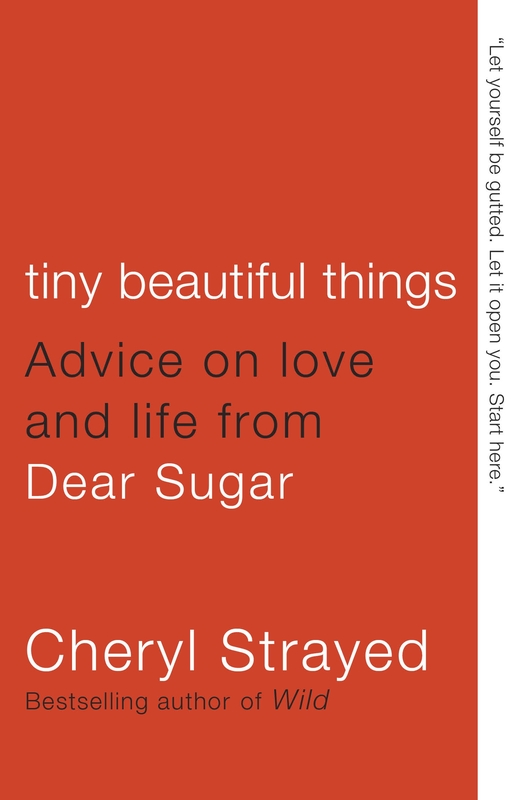 There were endless opportunities for me to be helpful and I got very little reading done, but in the minutes before I fell asleep at night I found the extra book I’d thrown in my suitcase to be exactly what I needed: Tiny Beautiful Things: Advice on Love and Life from Dear Sugar by Cheryl Strayed. I had read Wild when it came out, and while I admired the journey, I felt too old for it. So many people told me the book of Strayed’s I should have read was Tiny Beautiful Things but I just never got around to it. Finally, the spectacular Mary Laura Philpott, who is the editor of Musing, brought me her copy and told me to take it. I hate borrowing books from people. I’m always behind in my reading and I don’t like to hold a book up, but she made me. Dear Sugar is an advice column (formerly online at the The Rumpus and now a podcast) that is nothing like the Dear Abby columns I grew up reading in the newspaper. This book is a series of essays written in response to reader’s questions. Strayed’s answers are so generous, complicated, and raw that every one of them was shocking to me, shocking in that she was willing to stick her fingers so deep inside the muscle of her own heart to bring back exactly what the reader needed. I’d never read anything like it. When I got home again and went to Parnassus, I asked Grace (Grace is one of my very favorite booksellers, even though it is inappropriate for me to have favorites) if she had read it. She nodded. “I keep it on my bedside table,” she said. And I thought, that’s exactly right. It’s not the kind of book you’d ever be finished with, because every time we need a strong voice to tell us what’s right, we’re going to turn back to Sugar. I’m always telling my sister what to read, pushing books on her she doesn’t have time for. It’s not often she tells me what to read, so when she told me to read Atul Gawande’s Being Mortal I got right on it. I’d had my eye on it for awhile anyway. For the third time in a row, I felt that the book I most needed to read was the one in my hands. I’m all for people having different tastes, liking different books, but everyone needs to read this book because at some point everyone is going to die, and it’s possible that someone we love is going to die before us. Being Mortal is about having that conversation and thinking the hard things through. It’s not a depressing book, instead it’s thoughtful, probing, and smart. Gawande is a Harvard trained surgeon, a recipient of the MacArthur “Genius Grant” Fellowship, and a frequent contributor to the New Yorker. He breaks the news of our mortality to us with great kindness. My sister read it because someone in her book club had picked it. She said all the members of the club complained about the choice before they’d read it, and then were incredibly grateful that it had been pushed on them once they were finished. She said it was the best book club meeting they’d ever had. I believe it. I’m sure my house isn’t different from a lot of people’s houses. There are books stacked up everywhere around here. Usually I know what I’m going to read next, but every now and then I just scan the stacks and pick something at random. That’s how I came to Kelly Link’s Get In Trouble. Well, it wasn’t completely random. I’d read her “By the Book” interview in the front of the New York Times Book Review a couple of weeks before and I just liked her. She was clearly recommending the books she loved and wanted people to read, instead of just recommending books to make herself look smart (people do this). This is a story collection and so I thought I’d read one, but the first one took me to the second and the second took me to the third and I couldn’t put it down until it was finished. It was a wild ride, full of as much pure, bright imagination as I’ve seen in forever. 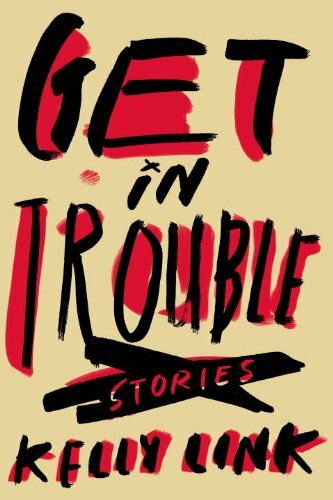 If you like short stories, or you’re just in the market for something completely new, this is a great book. I used to think that books could be divided into two stacks: those I’d read and wanted to read again, and those I hadn’t read and wanted to read. (Forget about the ones I didn’t want to read or didn’t want to read again.) But now that I’m older I’ve found there’s a third category: books I’ve read and liked and don’t remember reading. This one is new for me! Liz Gilbert had recently sent me a photograph of the Finnish author Tove Jansson wearing a crown of flowers while swimming in Finland. Liz told me I should read her book, The Summer Book. I ordered a copy and it was so tiny, so pretty. Jansson did the painting on the cover. I thought, why not? It was such a peaceful book, little vignettes about a grandmother and a little girl spending the summer together on a remote island in Finland. They argue, wander, try to entertain one another. I found myself wishing my grandmother was still alive so I could give it to her. Then suddenly I knew they were going to get a cat, and that the cat would be annoying, but when they got rid of the cat the girl would insist on getting it back. I had already read the book! Who knows when but I’d read it. I braced myself for a big storm at the end and there it was. Maybe this is what happens when a book isn’t particularly plot driven, or maybe this is what happens when you start forgetting what you’ve read, but I can tell you I enjoyed it every bit as much the second time. It was charming, and sometimes that’s what I’m in the mood for. And sometimes I’m in the mood for a book full of violence, revenge, and depravity. It depends on the day. Richard Price decided he’d get himself a pen name and knock out a fast cop novel, but it turned out he couldn’t do it. He wound up writing a fantastic Richard Price novel and still, for contractual purposes, had to put “Richard Price writing as Harry Brandt” on the cover, which is sort of embarrassing. The book itself, The Whites, is not embarrassing. It stands up with Clockers, Freedomland, Lush Life and all the other Richard Price novels I adore. He is the Tolstoy of the mean streets, not a guilty pleasure but a true pleasure. There are so many story lines flying around and every one of them is as taut as a fishing line with a fat trout on the end. Good cops, bad cops, bad actors, razor sharp dialogue. I kept wanting to nudge strangers on the plane and say, listen to this sentence! Winding down now. Months ago I mentioned a galley I was reading and loved called Mr. Mac & Me by Esther Freud. It contains many elements we’ve seen before: coming of age, wartime, England, but this one gets everything right. A lame pub keeper’s son befriends a famous Scottish artist who’s new to town. The locals suspect the Scot of being a spy when all he wants to do is paint flowers. It really is a perfectly put together novel, thoughtful and beautifully written, while being realistic about the war. Notice how I’ve sandwiched a thrilling cop novel in between two quiet and thoughtful European novels? It’s all about finding balance. 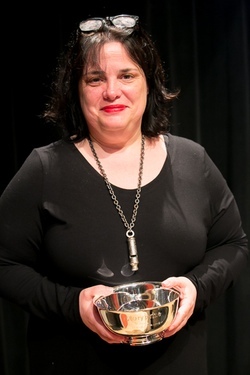 Elizabeth McCracken wins the Story Prize. Also, please note that Elizabeth McCracken did in fact win the Story Prize for Thunderstruck and other Stories, and Marilynne Robinson won the National Book Circle Critics Award for Lila. Both books were among our First Editions Club picks. It always makes us feel smart and self-congratulatory when we manage to do that. Another National Book Critics Circle Award winner that thrills me is Can’t We Talk About Something More Pleasant, by Roz Chast, the book I think I sold more copies of, and bought more copies of, than any other book last year. I recently sent a copy of it, along with Being Mortal, to a friend who’s taking care of her very elderly and infirm father. Which brings the journey of this book report full circle. 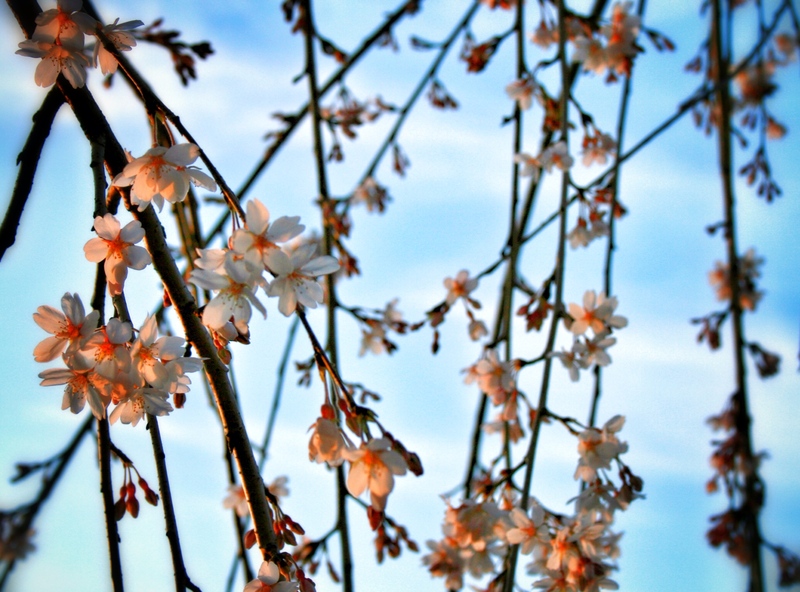 Here’s the good news: it’s nearly spring. Some days it is spring, the time of new green grass and the tiny rabbits that drive Sparky mad with desire. There’s a lot to be happy about. We have a bookstore with plenty of great books. We have you. You have us. Come visit.